Many workers switch employers during the course of their careers. Injuries can occur on the job in any of these positions, and in some cases, they are exacerbated by tasks on a different job. Sometimes the situation is complex, and it may be hard to tell to which job a particular injury is related. Workers' compensation insurers may try to avoid paying benefits on the basis that a different insurer was "on the risk" at the time of the injury. The successive insurer rule requires an insurer at the time of the most recent injury that contributed to an employee's condition to compensate the employee. At Pulgini and Norton, our Boston workers’ compensation lawyers can help make sure this rule is properly applied so that you can get the benefits you need. A workers' compensation insurer takes an employee as he or she is found, and the insurer is bound to provide benefits according to the Workers' Compensation Act for an incapacity that arises out of any compensable personal injury that is sustained during the policy period. The successive insurer rule is intended to streamline and expedite the process of getting benefits to an injured employee. The successive insurer rule requires the insurer that covers the risk at the time of the most recent injury that has any causal relationship to the disability claimed to pay the total compensation. This is so if the most recent injury contributes to a worker's incapacity even the slightest amount. The purpose behind the rule is to forestall the negative consequences of unilaterally assigning liability as a result of an injured worker's initial presentation of a claim. When there are combined effects of multiple injuries sustained in different coverage periods with different insurers, the employee does not get to elect which insurer takes responsibility. In some cases, the wrong insurer will voluntarily pay out a claim as a recurrence claim and then try to terminate benefits so that the other insurer takes on the responsibility. However, an insurer can take the matter to the Department of Industrial Accidents (DIA), which administers the workers' compensation system, in order to terminate its responsibility to continue paying an injured worker. There, the issue will go through multiple steps: conciliation, conference, hearing, and review board. Generally, the reviewing board is entitled to substantial deference, and its decision is set aside only if it is an abuse of discretion, arbitrary or capricious, or in error as a matter of law. If you have been injured on the job or reinjured on the job after previously sustaining injuries at a different job, it is critical to know that you will be able to receive medical benefits, disability benefits, and vocational rehabilitation as necessary. Although the workers’ compensation system is supposed to ensure that you receive compensation for job-related injuries, it can be a challenging system to navigate. 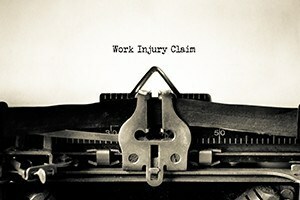 If you have suffered multiple on-the-job injuries in different workplaces, the successive insurer rule may apply. The Boston workers’ compensation attorneys at Pulgini & Norton represent injured employees in Cambridge, Somerville, New Bedford, and elsewhere in Massachusetts. Call us at 781-843-2200 or contact us via our online form for a free consultation with a workplace accidents attorney.